Hoping to make the communication between the sellers and the customers much faster, smoother and more efficient, now the Email function is available! 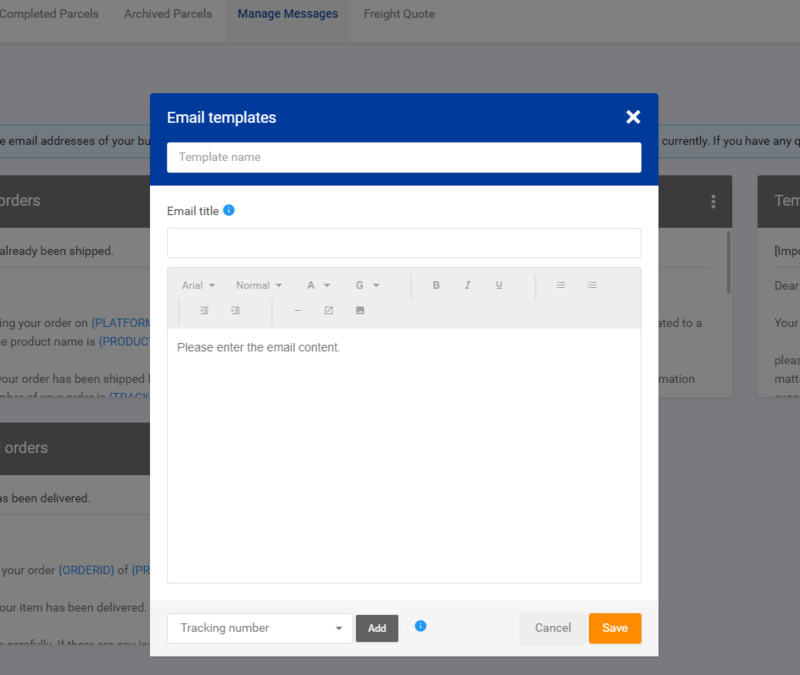 With one click, your messages can be sent directly to your customers in 17TRACK Seller Center page! Log in your Seller account of 17TRACK, click Manage Messages. You can see the related settings of Email in the sidebar. First click Email templates, you can see the templates that have been preset. You can choose the suitable preset templates or you can edit your own templates. Click Create in the right top corner. Then you can create your self-defined template according to the template reminders. Click and enter Track page. Check the tracking numbers that you want to send the emails for. Click Send email. 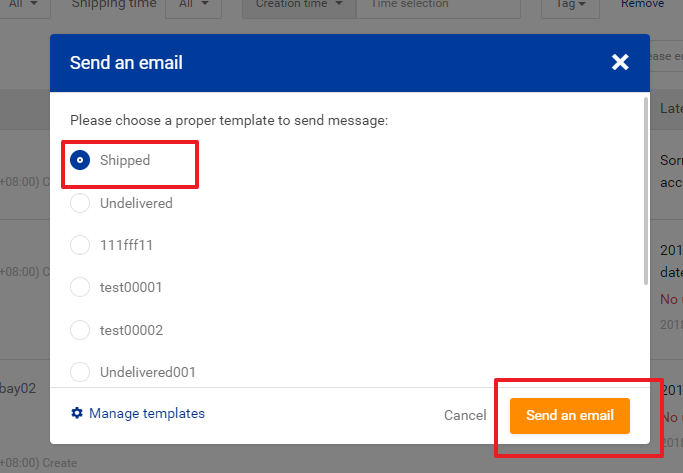 If our system detects the email addresses of the recipients of these tracking numbers, a prompt of template selection will pop up and you can select the template that you want to send. The email status will be shown under the tracking number. You can check the detailed email record by clicking Manage Messages>Email record. For more functions, they are coming up soon. Please stay tuned! If you have any questions or feedbacks, feel free to let us know at serv@17track.net. With your support, we believe we can keep improving our services! 9명 중 5명이 도움이 되었다고 했습니다.